Drop who you're kissing. 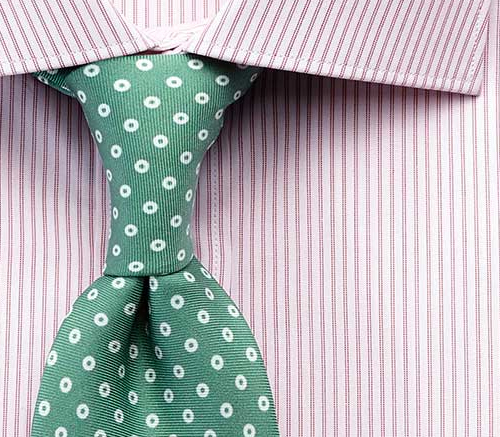 Charles Tyrwhitt has reintroduced a small selection of seven-fold silk ties. Described as (mini) 'works of art', the ties have an 8cm blade and are available in two patterns — circles and paisley — and four colours. The ties are made in England from the finest Macclesfield silk. Each colour will serve you well, but I see that you are extremely keen on the green one. 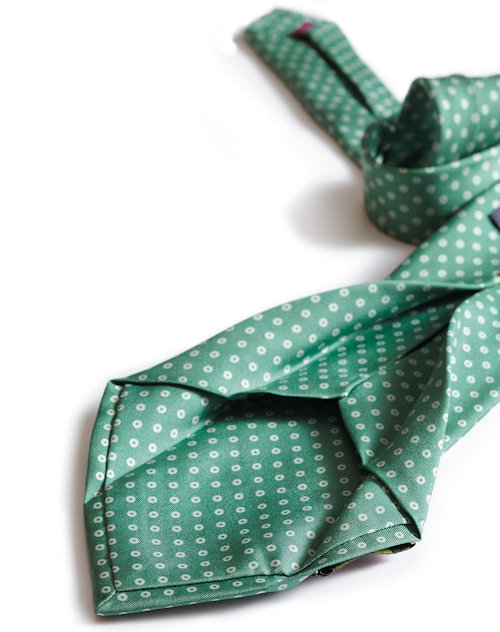 A very good choice as green ties can look exceptional with a white shirt and nice navy blazer. 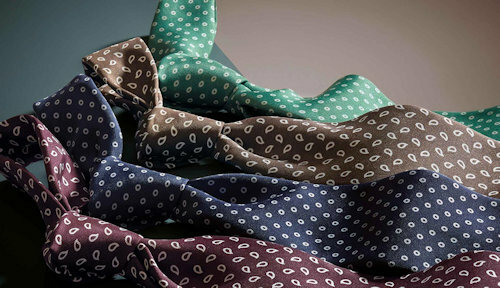 The ties are part of a limited Tyrwhitt Exclusive Collection. 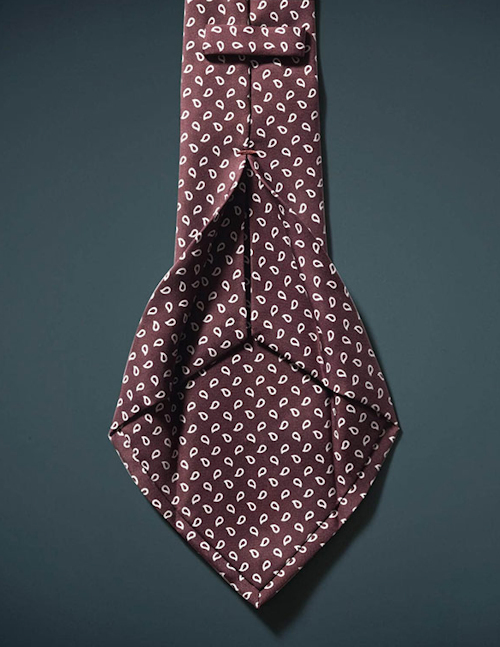 The red and white shirt you see with the tie below is from the Exclusive Collection, one of a run of shirts produced from two-ply 140s Egyptian Giza cotton. 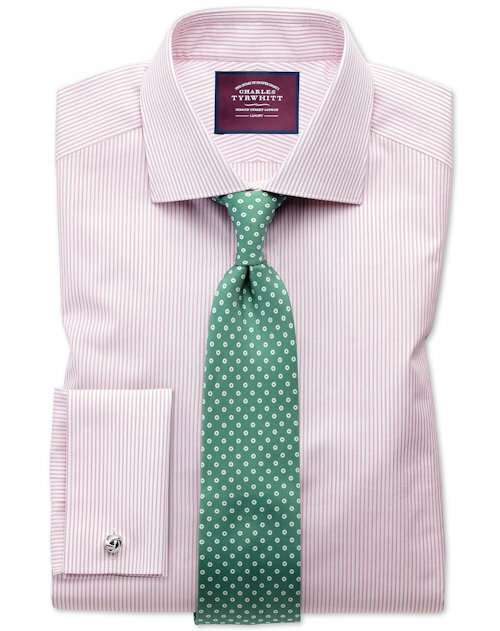 The last time we spoke about Tyrwhitt, I mentioned the legendary two-ply superfine 180 shirts Tyrwhitt used to sell. I managed to bag a few in white and I'm actually wearing one with a tie as I type. Is there any job that can't be done better wearing a tie? If I'm stuck for words, I can just sit back and play with the end of my tie, opening and closing the folds at the back until inspiration hits me. The shirt I'm wearing has an imaginable softness — something like the touch of the silk stockings from Cervin of Paris. I believe Cervin is the only remaining French manufacturer of 100% silk stockings. The Charleston seamed silk stockings are handcrafted and based on an original design that dates back to the 1920s. Not wishing to raise anyone's blood pressure, I include a photo below for illustrative purposes.